The Eastern Indian state of Andhra Pradesh has earmarked two sites for the development of FECs. Technology giant Playtech has announced double-digit revenue growth for last year, despite what the igaming firm described in a trading update as operational “headwinds”. German amusement ride manufacturer Huss Park Attractions has announced the opening of a Condor 2G ride at Sun Tzu Cultural Park in Shandong, China. Investment fund Advent has dropped out of the reckoning in the bid to acquire the Cirsa Group. Georgiy Frolov has joined Innovative Technology as business development manager, based in Moscow, Russia. Sacoa will be showcasing its latest products at the upcoming Amusement Expo International (February 28 to March 1) in Las Vegas, US. 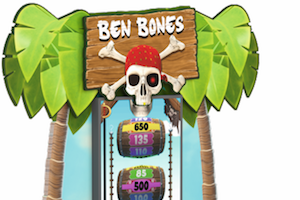 The AXES casino management system is now in partnership with GeWeTe’s redemption machines, it has been announced. In the US, the Pennsylvania Gaming Control Board has announced that the location of the bid submitted by Sands Bethworks Gaming for a casino location intruded upon the reserved area of a previously secured Category 4 location held by Mount Airy. Picsolve, a digital content creator and distribution partner for visitor destinations, has announced its largest-ever contract with Caesars Entertainment. Crown Resorts has seen profits rise for the half-year period ending December 31 2017, fuelled largely by the performance of its Australian resorts. Digital marketing platform provider OtherLevels has announced record customer receipts for the first half of the financial year. 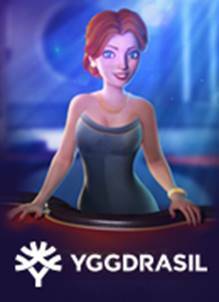 Greentube, Novomatic’s igaming division, demonstrated its star quality at ICE Totally Gaming with an exclusive launch of the Hardwell slot game that featured an exclusive after-party for over 700 guests. Proof of Toss chief marketing officer Eugene Malahov shares some of his thoughts on the too-often unseen potential of blockchain in gaming. The European Court of Justice has ruled against the Belgian government’s case that European Commission guidelines on consumer protection interfered with member states’ rights. 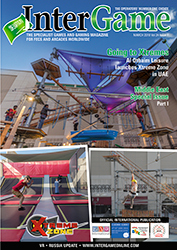 The March issue of InterGame, the leading monthly magazine for FECs and arcades worldwide, will include the first part of our annual in-depth market report on the Middle East, an exciting region that seems to be constantly developing, improving and enhancing its amusement facilities. This issue will also feature a full round-up of the EAG and ICE shows in London, as well as throw the spotlight on virtual reality in the industry, the latest in video lottery terminals and assess the state of play in both the Italian and Russian markets. To discuss opportunities in InterGame please contact sales@intergame.ltd.uk or call +44 (0)161 633 0100. I’m not entirely sure if apprentices, trembling and terrified on their first day of work after leaving school, still get sent out of the office for a “long stand” any more while grizzled co-workers chuckle at their naivety. Know someone who'd be interested in the content from this newsletter? our "from" address (editorial@intergame.ltd.uk) to your Safe Senders list. You have received this email because you have signed-up to receive email newsletters or you have subscribed to one of our offline magazines. If you would prefer not to hear from us again, you can instantly unsubscribe here.